When thinking about kick starting a commercial law career, many will naturally imagine the high-rise skyline of the City of London. Sarah Raby, an Oxford University law graduate, was no different: “Most of the recruitment messaging at university encouraged us to go to London and aim for the magic circle.” Now a two-PQE solicitor at Burges Salmon, she tells Legal Cheek Careers how doing a vacation scheme at the firm led her to pursue a training contract farther afield in a city recently voted Europe’s coolest: Bristol. The difference at Burges Salmon is that “while it’s hard work (which comes with the territory if you want to do top quality legal work), there is a balance and it’s the exception rather than the norm that work eats too far into your evenings”, she adds. Ultimately, the City life isn’t for everyone. “As soon as I saw the sleep pods, I knew that this wasn’t the kind of lifestyle that I wanted,” Raby says. 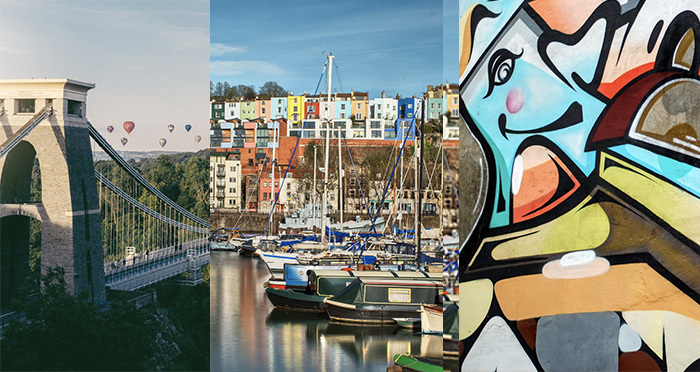 Raised in Bath, Bristol never felt far away: “I already knew Bristol was a fantastic city with easy access to both the countryside and my family.” She took the plunge, and signed up to complete a two-week vacation scheme at Burges Salmon’s Bristol office. Contextualise this in a legal world where dealing with pre-prepared, fictional cases on vacation schemes is common practice. Find out more about vacation schemes at Burges Salmon ahead of the 11 January application deadline.